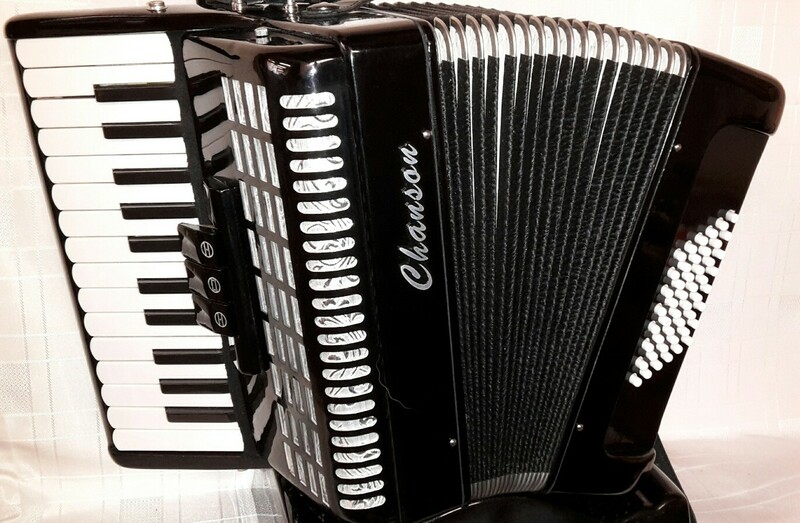 Chanson 48 bass accordion finished in black – Pre-owned. *We may also have this model available in a red pearl finish. Please check with us for details of our current stock levels. 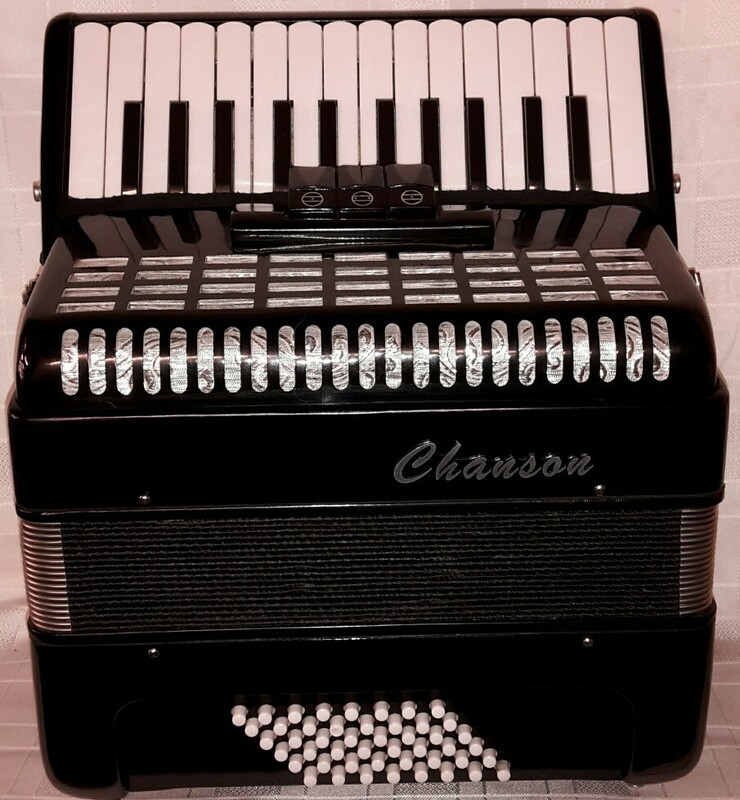 This Chanson 48 bass pre-owned accordion features 48 bass buttons with 26 piano keys. 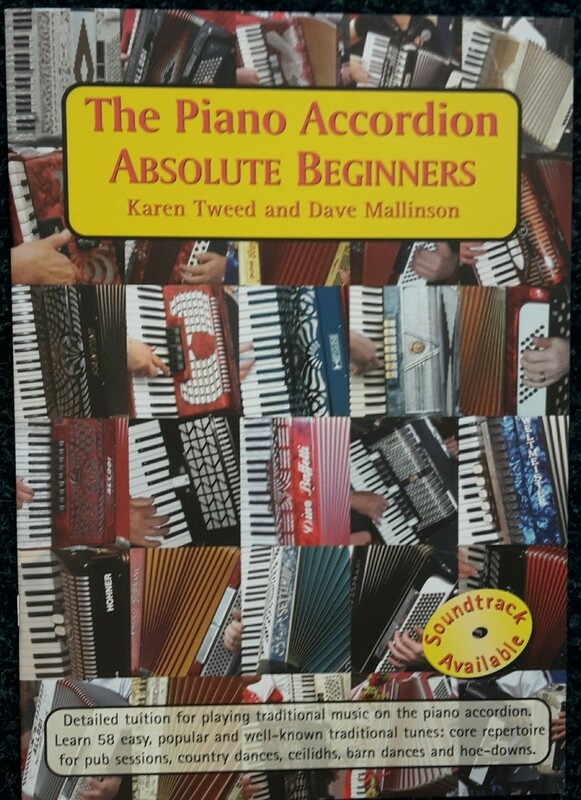 It would be an ideal beginner’s accordion for the smaller player to start learning to play on, or a great second accordion for traveling with or playing for folk session or morris dancing etc. To buy this Chanson 48 bass pre-owned accordion or to get more info please call our Rochdale Shop on 01706 658283. A 0% interest free loan is available on this Chanson 48 bass pre-owned accordion subject to status via the Arts Council. Terms and conditions apply – please contact us for full details. Don’t forget, free delivery of this Chanson 48 bass pre-owned accordion to most parts of mainland UK is included!